This year, on April 27, it will be my mom and dad’s 27th wedding anniversary. Before my parents were married in 1991, they met seven years prior on a blind date. My dad, 29, and my mom, 18, met for dinner at the house of a mutual friend and as the story goes, they hit it off. At the end of the night, my dad walked my mom out to the car and asked for her number. No pieces of paper available, my dad pulled out a little matchbook, where my mom wrote her name and number. Handing the matchbook over, my mom tried to nonchalantly ask my dad when she thought he’d give her a buzz. Playing things equally as cool, my dad told her he’d see how the weekend turned out and probably call her around then. I always love hearing this story because my dad is not exactly what I think of as a romantic in any way. Every year, Valentine’s Day went the same in my house; Dad stopped at the grocery store on the way home from work to scrounge for a bouquet of flowers from the nearly empty floral section, a box of chocolates, and always one of those “You drive me crazy, but I love you anyway” Hallmark cards. My sister and I would each receive our own kid-sized chocolate boxes and cheesy card. (I know I still have a card featuring the cast of “Camp Rock” sitting in my room somewhere.) I only remember looking forward to the day because it was the one night a year my parents would splurge on ordering Chinese takeout for dinner. All other anniversaries and birthdays worked just about the same with my dad. Most of the time, it was my sister and I dragging him to the mall so we could guide him through the process of gift giving. My mom would always hint to us what she had been eyeing, knowing we would be the ones picking presents out, not my dad. This system worked, though. My dad managed to cover the basics: never extravagant but always showed up in some way. My parents’ marriage can be described as decently average; I don’t remember ever really having a babysitter because they always stayed in with my sister and I. Over the years, they faced their challenges as most married couples do. I know my mom secretly wished for a little more (do not get her started on the sheer cheapness of her wedding ring!). Financially, she knew any sort of grand gesture wasn’t exactly realistic. 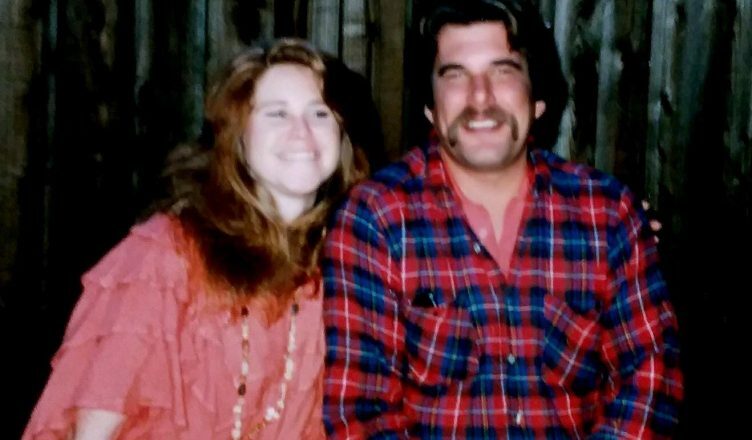 My mom and dad underwent hard times together and maybe had more than their fair share of fights, but they stayed together through it all. However, in April of 2014, my dad was diagnosed with Stage IV kidney cancer. He had just about made it to nine months before he lost his battle in January of 2015. My dad always had a bedside table next to him where he kept his glasses, watch, and alarm clock. There was a drawer, but I had never looked inside of it. A few months after my dad’s passing, my mom and I looked through it together. We found some old paperwork, a few “#1 Dad” drawings from my sister and I, a keychain given to him by the plumber’s union he had worked for, and an Eric Clapton concert ticket from 1987. Underneath all of that, there was one more thing. There was something that ended up mattering more than anything else to my mom: an old, worn out matchbook with her name and number written on the back. Colleen – this little piece brought tears to my eyes. You’ve so eloquently captured the essence of your parents’ relationship and done them both proud. We miss them. My best wishes to you in your future endeavors! I look forward to reading more articles. Sweetest stories, we will always remember , Paul & Annmarie Conradi. Close to our ♥️ hearts. Colleen, you are a beautiful writer and have a beautiful soul. Thank you for sharing this with us.